Given the strong belief that a fear of public speaking is the greatest fear most people have, it’s probably no surprise that we’re surrounded by presentations on presentations. Or that we can’t seem to be around our training-teaching-learning colleagues without finding ourselves engaged in conversations on the topic. Diving into a live online discussion with colleagues on Maurice Coleman’s latest T is for Training podcast late last week brought the topic to center stage again as we spent most of our time together talking about the challenges of writing training materials for other trainers. And during the discussion, a colleague mentioned a newly-posted and completely fascinating TED talk, by Nancy Duarte, on the structure of highly effective speeches (Steve Job’s introduction of the iPhone, and Martin Luther King, Jr.’s “I Have a Dream” speech). All of this comes right at a time when I had the great good fortune to spend a couple of hours with Jerry Weissman, one of the most highly respected presentation coaches in the corporate world, and author of several books including Presenting to Win: The Art of Telling Your Story. You have to be good if you’re going to sell more than 100,000 copies of a book about how to be a better presenter. Jerry Weissman is good. And he gets to the heart of great presentation skills by reminding us, throughout this wonderfully engaging book, of the importance of story if we want to hold the attention of audiences at a time when attention spans are as ephemeral as yesterday’s tweets. Whether we’re new to the art of presentation or are experienced presenter-trainer-teachers benefitting from the useful reminders Weissman provides, he carries us through the presentation cycle with lots of guidance, including warnings of how we can go wrong: not offering clear points, not offering a clear benefit to our audiences (what’s in it for them, not us), not creating a clear flow of thought and information in our work, offering more details than an audience can absorb, or creating presentations that last too long. He also offers the structure that telling a good story provides: taking listeners from where they are (Point A) to where they need to be (Point B) in ways that focus on them rather than on us. He provides a concise survey of structures we can incorporate into presentations to make them flow and reminds us of the importance of “verbalization”—rehearsing our work out loud “just as you will on the day of your actual presentation” (p. 164) numerous times so that the story that is at the heart of all we do will flow naturally from us to those who are depending on us to make that all-important journey from Point A to Point B. Furthermore, he models the very skills he is trying to develop by incorporating presentation stories throughout his book in an effort to help us understand the process viscerally as well as intellectually. It’s often the lines that seem to be most casually tossed off that take us most deeply to the heart of presentation professionalism. Writing about his attendance at investment banking conferences, he tells us that he is there “because they let me observe many presentations in one place, in a short time.” And if someone of his experience and reputation is attending presentations to pick up tips, it makes us ask ourselves why we aren’t equally engaged in seeing what others are doing if we’re at all serious about continually honing our own skills. There’s no mistaking the seriousness with which Weissman expects and encourages us to approach the art of presentation: “…every presentation is a mission-critical event” (p. 168). With that as our guiding light, we should all be on our way to successful and engaging experiences for those we serve. We have plenty of great role models out there, including Cliff Atkinson and his Beyond Bullet Points, and Garr Reynolds and his PresentationZen. And we’re all aware of the syndrome known as “Death by PowerPoint”—those dreadfully painful moments when someone fills a slide with incredibly dense blocks of illegible type—and then insists on reading every word of the text as if that somehow is going to engage us in the topic rather than make us wish we were dead. With so many resources available, we need to remind ourselves that help is on the way. In fact, it’s all around us. If only we’re willing to grab it and run with it. What’s learning worth? Quite a bit, as we see when we look to our ASTD (American Society for Training & Development) South Florida Chapter colleagues’ Champions of Learning event scheduled as part of ASTD’s nationwide celebration of Employee Learning Week (currently underway, from December 5-9). An ASTD State of the Industry report shows that U.S. organizations spent $125 billion on employee learning and development as recently as two years ago, and organizations to be honored by South Florida Chapter members at their event on December 8 show another side of the coin: learning initiatives save significant amounts of money as well as push companies well past their own earning projections. Starting from the premise that this is a week to highlight the strong connections between learning and producing positive results within organizations, South Florida Chapter members invited businesses, nonprofit organizations, and government agencies to submit descriptions of their learning successes with an eye toward impact on the organization, people, business results, and/or community. They also encouraged submissions that took creativity and relevance of the programs into consideration. Those of us who served on the committee to judge the entries this year found plenty of lessons worth sharing. The companies and organizations, for example, shared a commitment to creating communities of learning. They connect personal development of employees to better business results, and evaluate these workplace learning and performance efforts to see how they can be improved to better serve their learners. And they take a creatively dynamic approach that sometimes includes a sense of playfulness but never loses sight of documenting serious results. The specific stories bring this to a very human and inspiring level. The Broward County Public Schools Human Resource Developing eight-member training team serves its 20,000 participants through a program that results in learners enacting new strategies on the job. The City of Tamarac sought collaborative partners to produce learning opportunities it could not have produced by itself. The Institute of Organization Development makes a real difference, through its certification program for organization development professionals, by producing a program that helps more than 70 percent of its graduates achieve significant career boosts. Jarden Consumer Solutions and Titan America used corporate mergers as the starting point for innovative workplace learning and performance endeavors that have produced positive business results at a multinational level. Two Office Depot projects stand out as great examples of how learning is connected to business results—one that gives employees improved e-learning offerings and one that fosters growth among “high potential directors.” Santovenia Adult Day Care, Inc. takes a wonderfully playful approach—laughter yoga—to reducing stress among employees in a very stressful and challenging work environment. In a set of endeavors that is consistently appealing and wide-ranging in approach, it’s hard to single out any one project as being better than others. The trainer-teacher-learner in me, however, was particularly enamored of the Home Depot project to upgrade its e-learning offerings by engaging learners through shorter, more dynamic sessions. To achieve their goal, the trainers themselves had to play the role of leaners: they couldn’t proceed with the project until they had explored and learned about a variety of tools they could incorporate into producing the lessons; they also had to learn how to better connect with their learners so they could “give them the tools, information and skills they needed to be successful on the job.” The task was completed with the best of instructional design models clearly in mind: defining a need, doing research to determine what technology would be most appropriate and affordable, designing interactive learning opportunities, using a variety of tools (video, music, audio, and clickable tabs) to produce something fun, interesting, and engaging, and evaluating the results. The payoff is a workplace learning and performance effort that saves time for employees through those shorter, more focused learning opportunities; produced payroll expense savings of $100,000; and provided “a dramatic reduction” in time spent on trouble-shooting issues. It’s equally worth noting that the result of Jarden Consumer Solutions’ project, after 10 years of efforts, is “our organization has achieved outstanding results by exceeding forecasts” year after year; the City of Tamarac’s “Supervision in Government, in operation for more than eight years and involving collaboration among a variety of agencies in South Florida, is breathtakingly spectacular for its vision and its longevity; and Santovenia Adult Day Care’s laughter yoga leaves learners feeling more confident and positive at work, and leaves customers reporting greater levels of satisfaction than were previously documented. Which should, of course make all of us smile as we celebrate learning successes this week with the champions who produce them around the world. Those of us involved in preparing and providing e-learning opportunities are also pretty happy consumers of learning opportunities, Patti Shank confirms in her latest report for the eLearning Guild (eLearning Degrees and Credentials: Needs of the eLearning Professional, published in August 2011 and available online free of charge to Guild members). Reporting on responses from more than 500 Guild members, Shank tells us that four out of five respondents recommended the academic and certification programs they have pursued or are pursuing, and “[t]he vast majority of the respondents were happy with their programs” (p. 15). In the larger context of her topic, Shank leads us through the needs and motivations of e-learning designers and providers; calls our attention to certification programs including ASTD’s Certified Professional in Learning and Performance (CPLP) designation and others; and looks at current and desired job responsibilities for those pursuing degrees and certifications. The motivations are clear: nearly a third of the respondents work in instructional design and want to advance their careers in instructional/educational technology, while another third of the respondents listed instructional design as an area of study. A much smaller group works in instruction/teaching/training/coaching (14%), and only 10% of the respondents listed instruction/teaching/training/coaching as a desired job responsibility—less than the 15% who said they “desire to be Independent Consultants or Executive Management” (p. 8). Shank offers the useful reminder that “you’re unlikely to learn everything in the eLearning field in one degree program. Many people attend multiple programs, such as obtaining a Master’s degree and a Certificate of Skills, for this exact reason” (p. 10). And she warns that “keeping their skills fresh is a moving target” (p. 10). Which, of course, reinforces for so many of us the idea that we need to see ourselves as trainer-teacher-learners if we want not only to keep up with those who rely on us for continuing education, but also if we want to excel at what we do in a world where those who take a break are liable to find ourselves facing an even steeper learning curve than we would if we simply incorporated all three elements of our work into our day-to-day routines. 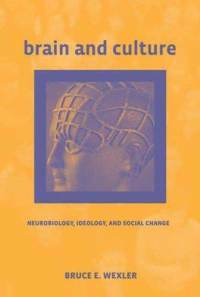 Bruce Wexler’s Brain and Culture, Neurobiology, Ideology, and Social Change, like Norman Doidge’s book The Brain That Changes Itself, literally opens our minds. A highly detailed research-based view of how our brain works, Wexler’s book is essential reading for those of us immersed in training-teaching-learning. “People selectively perceive and more highly value sensory input that is consistent with their internal values and organizing schemata,” he tells us early in his wonderful research-based book (p. 4). “People selectively affiliate with like-minded individuals, and forget and discredit views and information inconsistent with their existing beliefs”—an idea that goes a long way in helping us understand why we sometimes encounter intense resistance while trying to produce training-teaching-learning experiences that have long-term positive results. It’s as much about how we’re wired as anything else, Wexler and Doidge seem to agree. And there’s nothing simple about any of this. Wexler’s experiments suggest that our emotional reactions can change the physical connections within our brains—an idea that reminds us of the importance of fostering emotional reactions within our learning opportunities instead of relying solely on a rational fill-‘em-with-information approach. An experiment involving subjects’ reactions to videotapes of “an actress smiling and talking about happy things” not only made the subjects happy, but created “functional links among regions in their brains” that were “very different than when they watched videotapes of an actress crying and talking about sad things and felt sad themselves,” Wexler reports (p. 34). And there’s more. His comments about the importance of providing environments that are stimulating rather than sterile, documented through what he calls “enriched-environment experiments,” tell us that animals “raised in relatively impoverished environments have smaller brains, with the reduction greatest in the cerebral cortex and unrelated to differences in body weight. There is less protein synthesis in multiple regions of the cortex, decreased area of synaptic contact among neurons, and decreased numbers of the axonal and dendritic branches that functionally connect neurons” (p. 51). What this might suggest is that we’re on the wrong track with many of sterile learning labs and drab workshop settings that remain prevalent in training-teaching-learning today. It also makes some of us long for those wonderfully colorful kindergarten classrooms where we were surrounded by images and displays of our classmates’—as well as our own—work. Creating more of the interactive media labs where so much innovative learning seems to be taking place today may help us prove in visceral terms what Wexler describes in his book. He further builds a case for paying more attention to our actual learning environments when he reports that studies “in both cats and monkeys have found that animals raised in enriched environments perform much better on tests of frontal lobe function than animals raised in less stimulating environments” (p. 52). Those still relying on lectures as a primary way to help learners acquire knowledge might want to reconsider their approach in light of Wexler’s comments on how imitation (suggesting interactivity as opposed to passive intake of information) “has such great developmental impact because it is consistently operative throughout the moment-to-moment unfolding of everyday life” (p. 115). “Imitation is a primary developmental process, and is evident when children imitate animals during play as well as when they imitate and acquire silly idiosyncrasies of those near to them…” (p. 117). Play, he continues, “appears to affect cognitive development, even in rats and even when the play is primarily motoric. The role of play in human cognitive development may be greater because it lasts for years rather than days, is highly varied in nature, and includes activities that are primarily cognitive and essentially social. Here then is another avenue for social and cultural influence on important aspects of brain development” (pp. 132-133). None of which is news to successful workplace learning and performance (staff training) professionals. But it does help us to better understand the physiological underpinnings for what our guts have been telling us for so long in our roles as trainer-teacher-learners. In biological terms, he suggests, “the whole of formal education is perhaps most appropriately seen as a human extension of play” (p. 66). And I suspect our learners will be grateful and more successful than they already are if this is a reminder that we take to heart. Trainer-teacher-learners seem to explore almost every aspect of the learning process imaginable. And yet there’s a basic tool we all too often overlook: the brain itself. Which is a terribly embarrassing oversight since we are, without it, literally nothing. 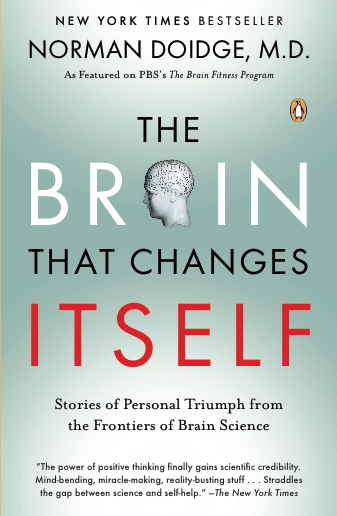 Norman Doidge’s book The Brain That Changes Itself offers a great starting place for those of us interested in plugging that gap in our knowledge. It is firmly rooted in the physiological basics of how brains learn and adapt—literally changing, as our experiences change, through the process known as neuroplasticity. Those willing to take the time to read the entire book will follow Doidge’s explorations documenting how a variety of terribly challenged people have overcome tremendous physical and psychological disabilities far beyond the day-to-day issues confronted in our training-teaching-learning efforts. There are, for example, case studies showing nearly miraculous recoveries by a woman who felt as if she were perpetually falling, a man with severe stroke-induced impediments, a woman who had been written off as “retarded,” and a woman who literally grew up with half a brain. Trainer-teacher-learners with less time to spare can move right to the heart of Doidge’s writings on the physiology of learning by diving into the third chapter, “Redesigning the Brain”—a fascinating and game-changing exploration of the work on neuroplasticity completed by University of California, San Francisco professor emeritus Michael Merzenich. In one particularly dense yet well-synthesized passage, Doidge helps us understand how neuroplasticity and learning come together in the work that trainer-teacher-learners facilitate: “…Merzenich invoked the ideas of Donald O. Hebb, a Canadian behavioral psychologist who had worked with [Wilder] Penfield. In 1949 Hebb proposed that learning linked neurons in new ways. He proposed that when two neurons fire at the same time repeatedly (or when one fires, causing another to fire), chemical changes occur in both, so that the two tend to connect more strongly. Hebb’s concept—actually proposed by Freud sixty years before—was neatly summarized by neuroscientist Carla Shatz: Neurons that fire together wire together” (p. 63)—which, to bring this all home, simply means that when neurons fire together during the learning process, our brain creates connections that turn ephemeral potential learning experiences into the long-term behavioral changes that effective learning is meant to produce. The converse, Doidge notes, is also true: “…Neurons that fire apart wire apart—or neurons out of sync fail to link” (p. 64). Understanding the basics of neuroplasticity helps us understand the challenges our learners face. There are, for example, times in our lives—early childhood being one that is easily and commonly recognized—when learning appears to be easier for us: “Language development…has a critical period that begins in infancy and ends between eight years and puberty. After this critical period closes, a person’s ability to learn a second language without an accent is limited. In fact, second languages learned after the critical period are not processed in the same part of the brain as is the native tongue,” Doidge notes (p. 52). But this is far from an excuse for those who believe they simply are too old to learn new tricks—or more substantial lessons; the more we and our learners remain open to new experiences, the easier it is for us, physiologically, to maintain our brain’s plasticity—which translates into an ability to continue learning. “Merzenich thinks our neglect of intensive learning as we age leads the systems in the brain that modulate, regulate, and control plasticity to waste away,” Doidge writes. “In response he has developed brain exercise for age-related cognitive decline—the common decline of memory, thinking and, processing speed” and his efforts are producing noteworthy results (p. 85). The conclusions for those of us involved in workplace learning and performance or any other educational endeavor are obvious. If we want to help our learners, we have to make them aware of what it takes to expedite learning. And in a wonderfully circular way, we have the documentary proof here that the more we continue to learn, the easier the learning process remains. Which is great news in a world where the need for learning is continual and those who either are unwilling or unable to continue learning are at a distinct and potentially life- and career-threatening disadvantage. “Just doing the dances you learned years ago won’t help your brain’s motor cortex stay in shape,” Doidge suggests. “To keep the mind alive requires learning something truly new with intense focus. That is what will allow you to both lay down new memories and have a system that can easily access and preserve the older ones” (p. 88). “Plasticity,” he assures us, “ is a normal phenomenon, and brain maps are constantly changing” (p. 61). It’s clear that one of our many roles as trainer-teacher-learners is to do all we can to make learners aware of this situation so they take advantage of the possibilities it offers. One of the most comprehensive and well researched annual reports on the state of the workplace learning and performance (training) industry recently offered encouraging news: executives and business leaders continue to see employee learning and development as a “key to survival, recovery, and future growth,” ASTD (American Society for Training & Development) Research Associate Laleh Patel writes in the “2010 State of the Industry Report” (p. 6). Having examined the tendency for many to see e-learning in terms of how much money it saves and having reviewed the eLearning Guild’s exploration of how social media tools are being used to contribute to the efficacy of online learning, we find a complementary broader viewpoint of what is happening in the entire training industry through that ASTD report documenting employers’ “solid commitment to learning” (p. 9). There are plenty of facts, figures, and statistics to show that “[a]lthough organizations grappled with some of the worst economic conditions in several decades, business leaders continued to dedicate substantial resources to employer learning” while the survey itself was underway (p. 5). The research also suggests that “the average percentage of learning hours available through technology…rebounded…reaching 36.5 percent, its highest level since ASTD began collecting data on the use of technology for this report 14 years ago” (p. 6). 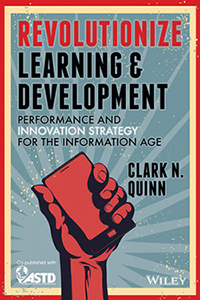 And while it’s easy to become buried under all the information and ensuing caveats—expenditures on learning on a per-employee basis, for example, increased (p. 9), but that may partially have been the result of training budget reductions not matching the reduction in the number of employees who remained in the workplace (p. 11). When we finally resurface from our immersion in this rich source of data, we are left with a keen awareness of some promising trends. Companies recognized by ASTD as the best in terms of providing first-rate workplace learning and performance opportunities—winners of ASTD’s annual BEST Awards—for example, “incorporate more than one week of learning activities into their schedules throughout the year” (p. 9)—a fine response to what many of us hear from administrators in organizations that still act as if encouraging learning in the workplace takes employees away from what they “should be doing,” as if learning were not part of all employers’ and employees’ work. The most lauded companies also displayed “the greatest reliance on (live) instructor-led delivery” (p. 16), which includes classroom as well as online learning opportunities. 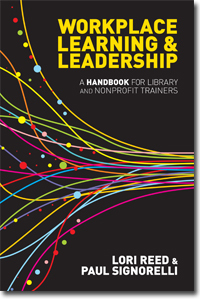 The report, in summarizing what earns an organization a BEST Award, sets some interesting benchmarks for anyone interested in workplace learning and performance. Those BEST organizations “have visible support from senior executives and involve leaders as teachers”; “[p]rovide a broad range of internal and external, formal, and other learning opportunities, including knowledge-sharing, coaching, and mentoring”; and “[d]emonstrate effectiveness by monitoring individual and organizational performance indicators and linking changes to training and non-training activities intended to improve performance” (p. 20). In other words, they care. As should we all. N.B.—More information on 2010 BEST Award Winners is available online, and ASTD members have free access to the October 2010 T+D magazine articles describing what each winner did to earn the award.